Once again my good blogfriend Moira (at Clothesinbooks.blogspot.com) and I are indulging in a bit of cross-blogging, in which we choose a book for both of us to read and put up a post about it on the same day. 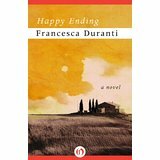 This time it is Happy Ending by Italian writer, Francesca Duranti (1987), also the book most recently chosen by the wonderful multi-national book group to which I belong. This post owes something to an illuminating discussion that we had earlier in the week and I’d like to thank the group for so much reading pleasure and friendship over the years. 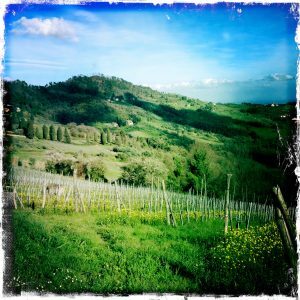 The setting of Happy Ending is an estate in the countryside outside Lucca, and the time is a midsummer week-end sometime in the 1980s. There are three houses: the matriarch Violante lives in one, her son Leopoldo who is in a sexless marriage with his rich American wife, Cynthia, lives in another. The third is empty, waiting for the summer visit of Lavinia who was married to Violante’s older son, Filippo. Their brief and disastrous marriage was cut short twenty years ago by Filippo’s death and their son, Nicola, has been raised by Violante. The family are all observed by their friend and neighbour, Aldo, who has always been in love with Lavinia, who in her turn has been infatuated by a series of awful men. All the characters are blocked in some way and then a young man, a friend of Nicola’s, arrives . . .
What I enjoyed most about this book was the setting: the houses, the garden, the drowsy midsummer heat, which made me long to go back to Italy. I wasn’t so keen on the characters and I found Lavinia in particular very irritating. And when late in the novel Violante remarks, ‘I have ruled like a czarina, and now they are all good-for-nothing,’ I really had to agree. That summed up my feeling about these privileged, mostly idle, people. But maybe that is to take too seriously what is really a comedy in which, as in A Midsummer Night’s Dream, Bergman’s Smiles of a Summer Night, and The Marriage of Figaro, everything in the end is magically resolved. And I did like Aldo and the account of how as a poverty-striken fourteen year old at the end of the war he wandered into a neglected estate and spied on a party of rich and glamorous people. This enchanting experience inspired his career as a forger of paintings and then as a successful art historian (sadly my own career as an art historian hasn’t enabled me to live in fortified house near Lucca. Something must have gone wrong somewhere). And there was a nice little twist at the end which I enjoyed. To sum up: wonderful setting, some excellent writing, but not entirely my kind of novel. So what did Moira make of it? I long to know and will add a link when her post is up. Here it is! Fascinated to find that this time we were not quite in agreement: Clothesinbooks.blogspot.com. These glorious photos came via Moira from PerryPhotography. 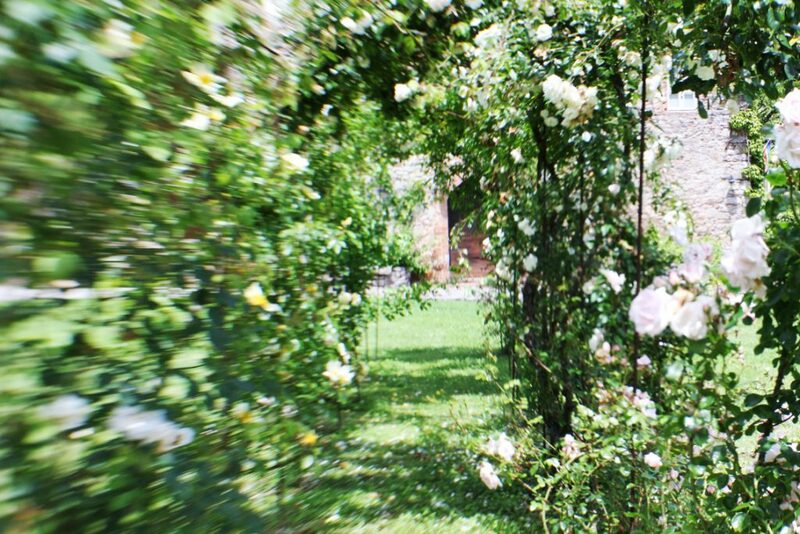 One is of the countryside outside Lucca, and the one of the house and garden is reproduced by kind permission of the owners, K & T Wynn. My thanks to them and to PerryPhotography. Does it matter if you guess the ending? 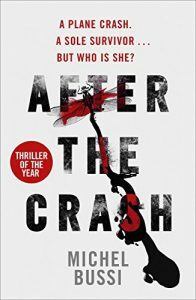 Joan Smith thought After the Crash was ‘one of the most remarkable books I’ve read in a long time’, Maxim Jakubowski called it ‘a compulsive page-turner’ and Barry Forshaw said ‘Michel Bussi knows exactly how to keep the reader turning page after page.’ So I was expecting great things, and maybe that was the part of the problem. I did read it compulsively – but only until about half way through, when I ran out of steam and found I couldn’t – or rather didn’t want to – suspend my disbelief any longer. Yes, it’s a brilliant premise. A baby survives a plane crash in which everyone else dies and two families fight over which of them she belongs to. I won’t say exactly when I guessed the answer to this conundrum and the final twist in a very convoluted plot, because that might constitute a spoiler, but it was pretty early on. I hope I wasn’t going to be right, but I was. This got me thinking about the challenges of writing for a crime fiction readership, which includes of course other crime writers. Like many other readers (and writers) I must have read thousands of crime novels, and these days I am rarely surprised by a plot twist, though I love it when it happens. Just at the moment I am especially obsessed with plots as I am plotting a novel myself, so maybe that too was part of my problem with After the Crash. I was too conscious of the machinery. Sometimes that doesn’t matter as long as I am enjoying other aspects of the book, the setting, the characters, whatever. In fact, I often reread favourite crime novels, knowing perfectly well who did it. But this time I did mind and I ground to a halt. So how do you feel? Are you disappointed if the writer doesn’t manage to fool you, or are you happy to go along for the ride anyway?